The year 2018 marks the 20th anniversary of the founding of RecruitMilitary, following a year of great change at our company that brought unprecedented success, partnerships, collaborations, and challenges. We joined forces with Bradley-Morris, Inc. in late 2016, which grew our combined entity into the largest military recruiting company in the U.S.
We spent last year honing processes, smoothing edges, and making all the moving parts and people fit together. 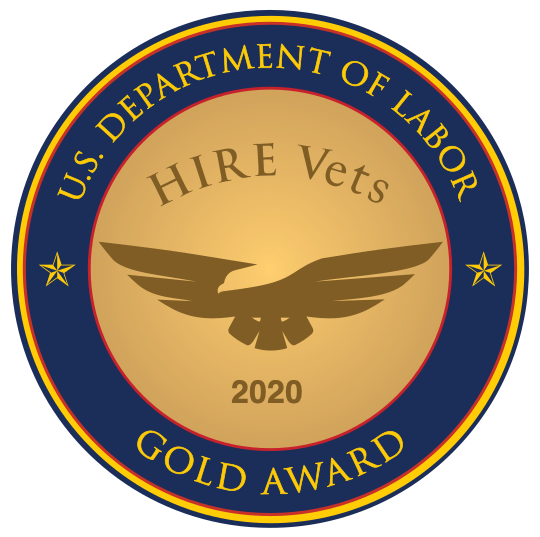 We now offer employers access to more than one million veteran job seekers via services that include contingency recruiting, military job fairs, employer branding, a military-based publication, and more. The popular NBC television series “This Is Us” does an excellent job of juxtaposing its present-day characters present against their past selves. That dynamic helps viewers understand and appreciate each character’s struggles and motivations. An entrepreneur since he was a young boy, RecruitMilitary founder Drew Myers eagerly anticipated the day when he could start new companies and develop new ideas, and experience the pure enjoyment of growing an idea into a successful business. Armed with a degree from Indiana University in 1986, he earned a commission as a second lieutenant in the United States Marine Corps. He served for seven years and left active duty as a captain, gaining experience as a platoon commander and executive officer of a firing battery. In his final years of service, he worked as the operations officer and then executive officer of Recruiting Station Cincinnati. He oversaw more than 500 high school programs and roughly 38 recruiting facilities for 45 Marine recruiters, and his recruiting station sent more than 1,200 people to Marine Corps boot camp annually. It was in this assignment that Drew caught the “recruiting bug.” “I loved serving, but by age 27 I was ready to enter civilian life and begin working on the ideas that I’d been thinking and reading about,” he said. Fast forward to 1997: As a student in the executive MBA program at Xavier University in Cincinnati, Ohio, Drew began working on a business paper for a class focused on entrepreneurship. He was also working for a Cincinnati-based company that provided in-depth sales training for companies of all sizes, ranging from mid-sized regional firms to Fortune 500 giants. “I constantly suggested new ideas and concepts to the owners of the firm at what must have been an annoying pace, looking back,” he said. Drew’s next task was to sell the idea to his boss, the president of the company. By now, he’d become senior vice president of sales, but he was torn between staying and growing that firm, or setting out on his own. He asked the company president to take a chance on his ability to find and train veteran military officers for corporate sales positions for some of the company’s clients. After getting the green light, the seeds of what would eventually become RecruitMilitary were planted.